Last week I saw an interesting post from Cheryl Sloboda of www.muppin.com. She’s hosting a 31 day blogging challenge, as blogging really was the original format to connect crafters (and many other entrepreneurial people) to an audience. You can learn more about the challenge here. I was intrigued by this concept as I love writing and enjoy sharing my love of quilting via my blog, but I find what little extra time I have is committed to quilting itself :) I decided it could be fun though and that I should join. So here I am joining the 31 day blogging challenge…on day 3 (insert lots of laughter here!). 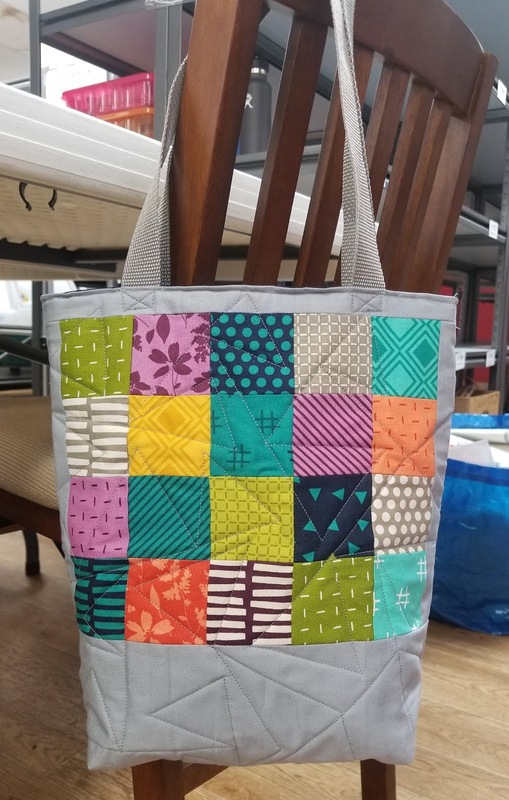 This past weekend I was at the Central Iowa Modern Quilt Guild retreat and it was probably the best few days of this year! There was so much fun discussion and sewing and food. I really wanted to enjoy every minute so the challenge took a back seat. But here I am, Monday morning, tons of stuff on the schedule to do, a toddler hanging onto my legs and I showed up! So, welcome! I was productive at the retreat and am super excited about that! I worked on a holiday wreath table runner, another #minicharmpatchworkbag (pattern coming soon! ), epp stitching and cutting fabrics for a new quilt. I have really great guild mates and friends and they turned hours into what felt like mere minutes. Certainly, the time went by too fast. Have you been to a quilt retreat? Any tips on what to bring or leave home, games to play or delicious foods to share? Feel free to comment below! 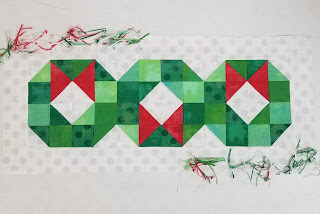 Join me throughout December as I share more quilty stories, projects and tidbits about my process!